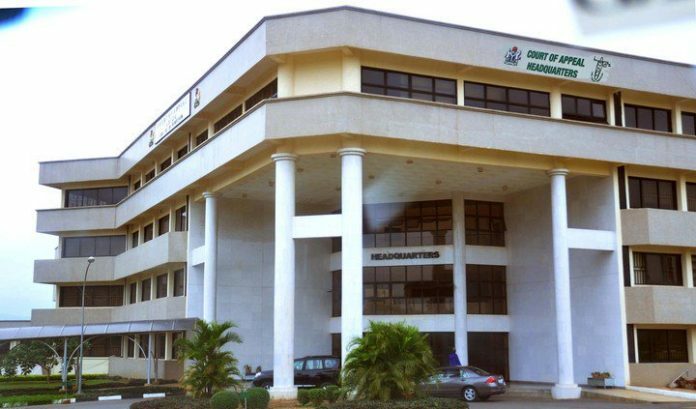 The Court of Appeal, Ado Ekiti division on Tuesday, set aside a ruling of the federal high court in the matter instituted by Chief Makanjuola Ogundipe against the executive of the party in the South West zone. The Federal High Court had ruled in a matter brought before it by Ogundipe that he was still the National Vice Chairman (South West) of the PDP but the executive led by Olafeso challenged the ruling. In the matter with number CA/EK/72/2017 between PDP and others as appellants and Makanjuola Ogundipe and 21 others as respondents, on the one hand and CA/EK/72A/2017 between Dr Eddy Olafeso and 10 others as appellants and Chief Makanjuola Ogundipe and 13 others as respondents, the appeal court allowed the appeal and set aside the judgement. 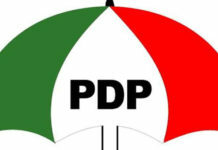 Olowolafe, who is the Legal Adviser of the PDP in the state, said the Appeal Court ruling which set aside the high court ruling had confirmed Eddy Olafeso-led executive of the PDP as the authentic in the South West. The counsel said the Appeal Court judgement had laid the matter to rest finally and expressed the hope that the matter had finally come to an end. Also reacting to the judgement, Chief Sunday Ojo-Williams, who is the South West Legal Adviser of the PDP, said it was a good thing that the matter had come to a head, and commended the judges.